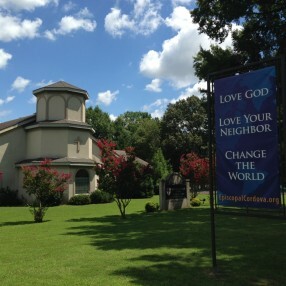 Our mission is to be a place of deliverance and hope to those in need and perpetual praise to the God of our salvation. 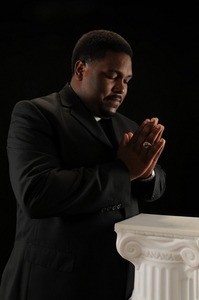 We firmly believe that living a holy life is possible and through prayer and praise we will live on the TOP! We plan to establish a ministry centered in the old path of holiness that operates in business with the sophistication of the modern day. We will, with the help of the Lord, minister to both the natural and spiritual needs of man. We invite the Glory of God into each of our services and believe and letting Him have is way at all times. We are old-school in our praise and worship and have very little if any preliminaries. 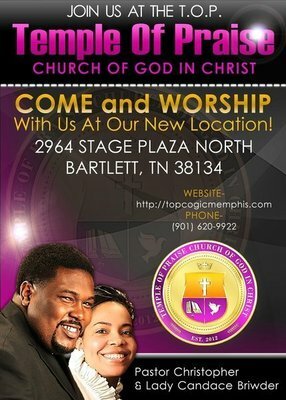 The name of the ministry says it all, we are a house of praise! 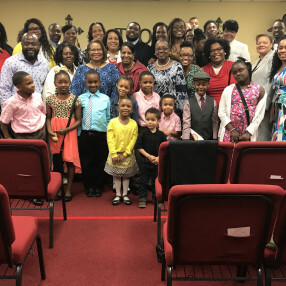 We have a very multigenerational congregation. From infants to seniors- we have them all! We are loving, compassionate and kind. Everyone is family once you enter the T.O.P. We have all been there and would love for you to come fellowship with us. We know after all of the love you experience you will make the right decision! Born January 15, 1986 in Memphis, Christopher is the oldest son of Christopher Briwder and Carla Briwder. He has been in music most of his life. By his high school graduation, he was able to play seven instruments and had a basic knowledge of every instrument family and voice. 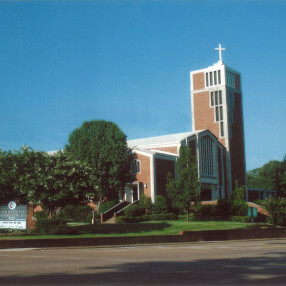 He received a music scholarship to the University of Memphis. Chris’ love for God goes back as far as his love for music. He accepted Christ at the age of four. He believes in and lives a life of holiness and sanctification. 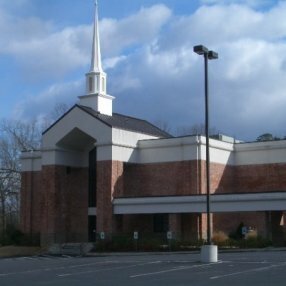 Pastor Briwder has also served in many capacities of the local, district, state and even national churches of the Church of God in Christ. 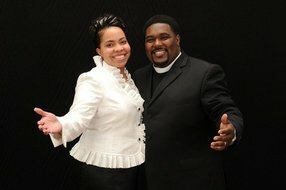 In 2012, God led Pastor Briwder to start Temple of Praise. God has been blessing ever since. Chris is married to Candace Briwder and the couple has three boys: Caleb, Cody and Chris Jr.
Go here? 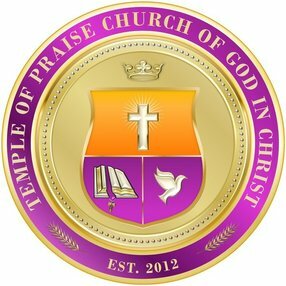 Tell us why you love Temple of Praise. Visited? Tell us what a newcomer can expect. 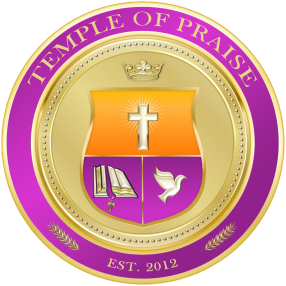 Enter your email address to receive an informative welcome email from Temple of Praise.